A couple of months back I wrote an article named PS1 Retro or the Start of a New Era and in it I asked why the PS1 is so controversial as a retro gaming system. To say the least I got precisely the reaction I thought I would with 50/50 split down the middle as to the PS1’s status as a retro system versus a modern one. That was early November, and now here we are in January, two plus months firmly entrenched in Gen 8. That means that it’s now Gen 6’s turn at gaining retro status, but by no means is this any less controversial. 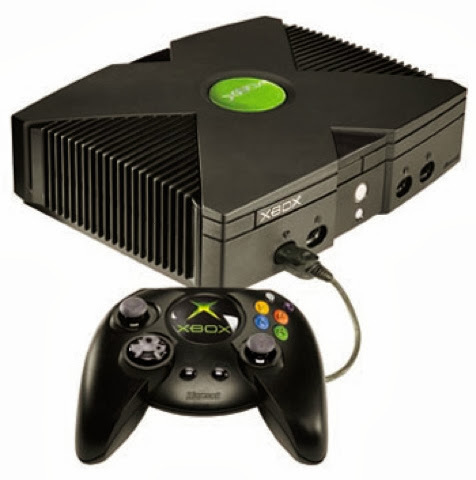 Gen 6 consisted of four main systems the PS2, XBox, GameCube, and Dreamcast. This generation was the first in which all gaming systems in it, used CD drives as their main form of gameplay and media. But CD-ROMs as a primary media source had been used in Gen 5 by both the Sega Saturn and PS1. But as we look at all four systems I think there are some pretty good arguments for all four being retro. On the other hand though I also think the generation can almost be argued as being half modern and half retro based on the individual systems themselves. Now generally speaking, probably the least controversial of the four to seek entry into the retro hall of fame is the Sega Dreamcast. The reason being is that the Dreamcast was the last Sega console to be made and it has no descendants in following generations. In a way Sega has almost become as synonymous with retro gaming as Atari. The PS2, XBox, and GameCube on the other hand all have decendents in Gen 7 and 8 some of which, like the Wii and Xbox 360 are backward compatible with Gen 6 games. 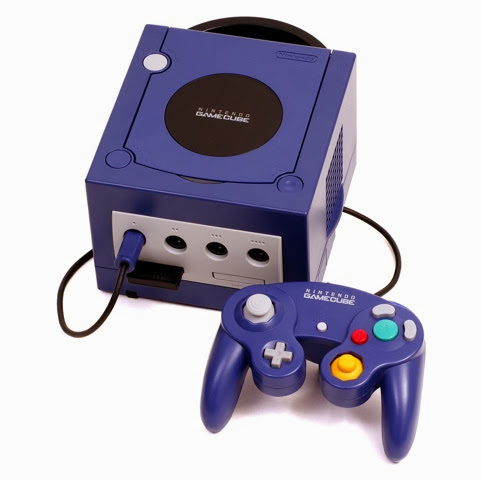 But there is something else that could win the Dreamcast, as well as the GameCube retro status in Gen 6. The CD-ROM drives in both the Dreamcast and GameCube could only play games. The PS2, and XBox on the other hand could play games, CD’s, and DVDs. This is where Gen 6 receives most of its anti-retro sediment. For most retro video gaming fanatics video game consoles should only play games, and once they started playing CD’s and DVD’s they became multimedia platforms and not game consoles. For some this factor seems to condemn Gen 6 to its current limbo state, throwing the GameCube and Dreamcast in through a purely “guilt by association” logic. Time will tell if retro gamers give the Dreamcast and GameCube retro status. To help Gen 6 into the retro world here are a few other things I’d like to argue on their behalf. As you can see above wireless controllers have been around for a while. 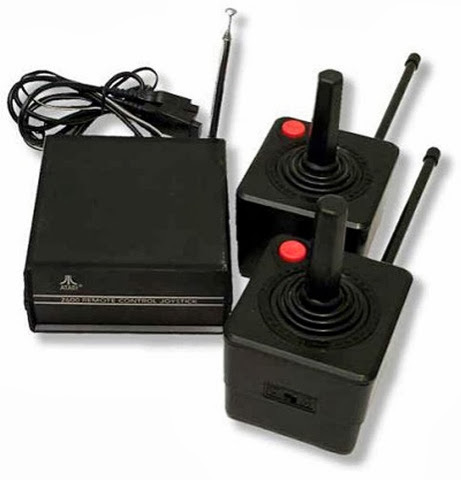 The Atari 2600 set above is indicative of its Motorola “Brick” era early 80’s wireless tech, but where/are said to work well, outside of eating battery’s. But up until Gen 6 wired controllers were the norm. Gen 6 is actually the last generation to have wired controllers as the standard OEM for the system, and all four systems came with wired controllers until they where discontinued. Gen 7 would make its mark with the Wii controller, PS3 Bluetooth controller, and XBOX 360’s Wireless controller, and would be the first generation on which wireless controllers where standard OEM. A major frustration of gamers in Gen 7 and 8 are system updates. If you don’t game in Gen 7 or later let me tell you what this is, every week or so your system needs to go online and do an update. You can skip around it and go to your game but it’s not exactly the boot and load direct to your game we see ending in Gen 6. In some instances not doing the updates may keep you from playing until you download new content and/or new games and items. This also brings about the subject of downloadable content, DLC. These are add on’s or power-ups you can buy for your game, and can be very annoying since they were all part of the games you bought in Gen 6 and back. Gen 6 systems like their predecessors, do not require updates or even any kind or internet access at all, its purely optional. Gen 6 is also the last generation in which you could put your game in and go right to playing it, no home screens, no updates. This means that Gen 6 games and systems didn’t need DLC add-on’s, and everything in your game was there when you bought it. Gen 6 systems almost stand in juxtaposition to Gen 8 systems, and as we look at them they can appear very retro. Wired controllers, no home screens, and direct to game booting after all, are also characteristics of the NES, and Atari 2600 too. Even the multimedia capability of the PS2 and XBox seem antiquated compared to something like XBOX ONE’s ability to play a game, run picture in picture television, and Skype all at once. Overall, looking at the huge jump between Gen 6 and 8 I have to believe that Gen 6 will slip easier into the world of retro than the systems of Gen 5 did. I don’t expect to see a PS2 become retro tomorrow, but I think it needs serious consideration in the near future.